While in Oklahoma this Fall, I did a little maintenance around the home. The paint on the retaining wall behind the pool area had started to chip and peel. Time to scrape and re-paint. There was also a crack between the wall and deck that needed to be sealed. 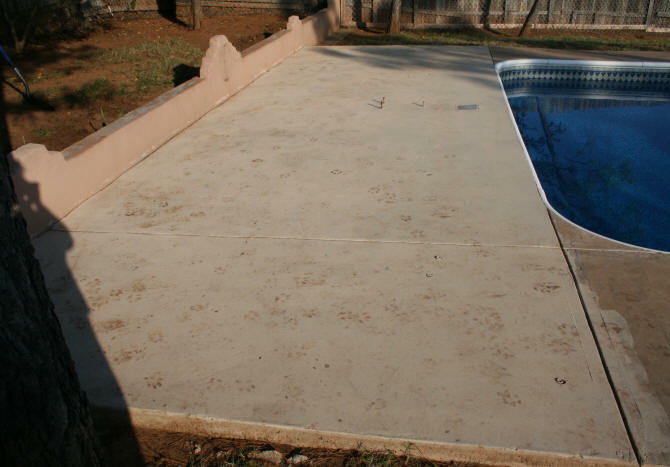 The problem with the retaining wall and the surrounding pool deck....muddy dog prints. The soil in Oklahoma has more clay in it than the soil in El Paso. Therefore, muddy dog paws are more visible on a light surfaces and do not brush off easily when dry. 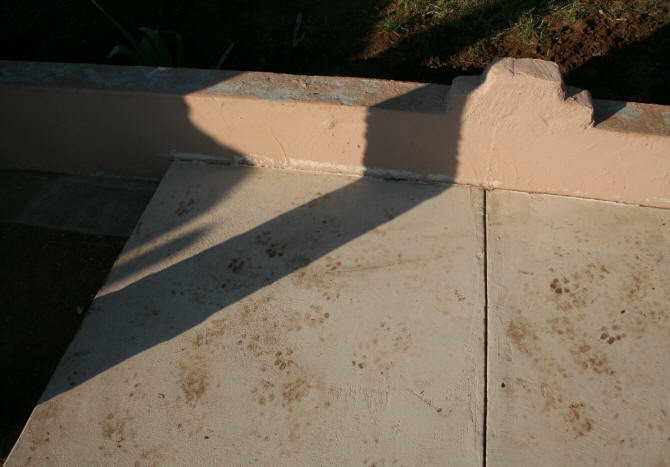 In El Paso, with a sandy soil, the paw prints brush off the cement easier. 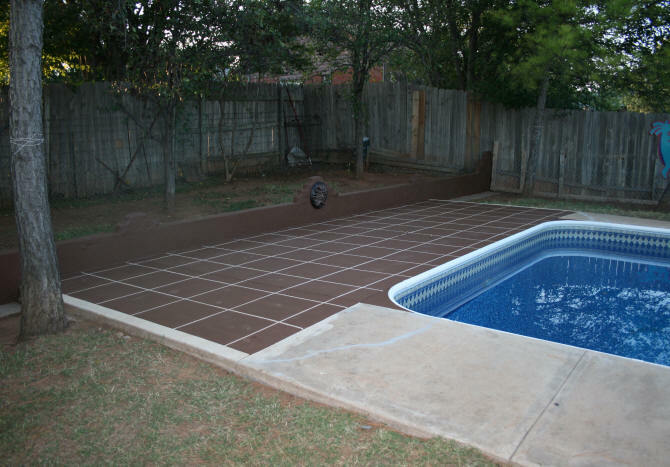 My husband had painted a section of the concrete with Sure Step Anti-Slip Coating (Desert Sand). 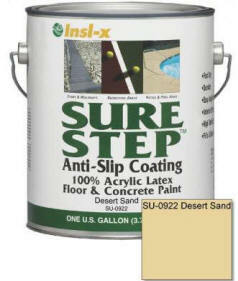 This paint works great to create a non-slip surface on slick concrete. However, if you have a bunch of dogs running over the surface with muddy paws, it becomes a nightmare aesthetically. I decided to paint the retaining wall a color similar to the color of the soil. 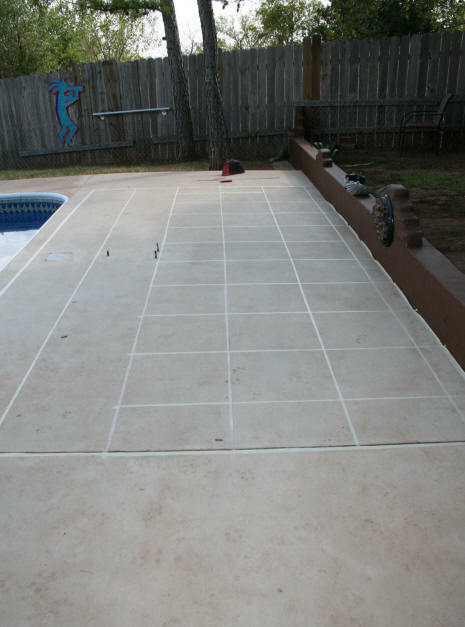 This way, when the dogs step on the wall and pool deck with muddy paws, the paw prints will be less noticeable. So I took some soil with me to the Sherwin Williams store here in town. I held up the soil to the store salesman and said, "let's find a brown that matches my dirt." Their paint scanner can only scan solid materials, so we had to try and match the dirt to the paint chips. 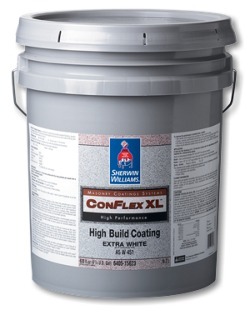 The paint that was used is ConFlex XL designed for concrete and masonry. 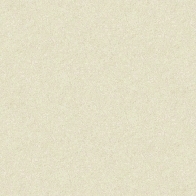 The color that I chose was Java SW 6090. This color, after putting it on the surface, was a little too dark. But with 5 gallons of the paint (this particular store did not sell gallon sizes) I decided to go with it. 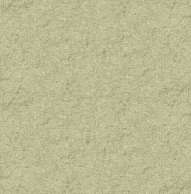 The color that would have probably work better was the next lightest color, Grounded SW 6089. The paw prints still show a little on the dark surface but far less noticeable than on the light surface. Only the back deck was going to be worked on at this time. The loose peeling paint was scrapped off the wall. The crack between the wall and deck was sealed. 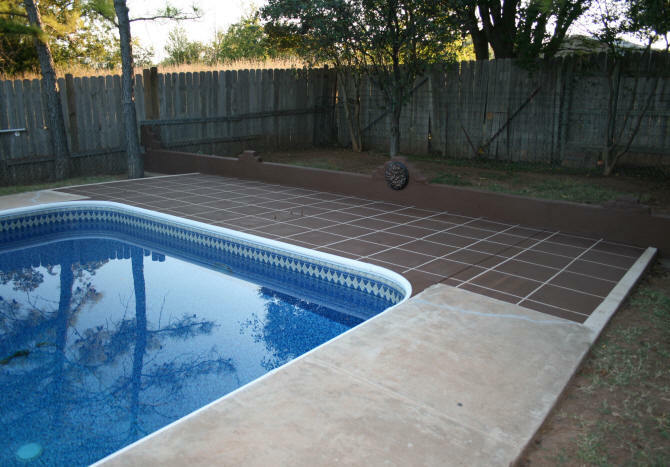 The retaining wall was painted the new brown color. The round terracotta decoration on the middle of the wall was spray painted a combination of antique copper in the center and oil rubbed bronze along the edges. Marking the faux tile "grout" with masking tape The first step was to clean off the concrete deck. The next step was to measure the concrete slab to find the center. From the center I measured out and marked 18" "tiles". The most ideal size of masking tape to use is 1/2". This size of masking tape is difficult to find. In this town in Oklahoma, no one had it. I even checked auto supply stores. I could have ordered the tape online, like I did for my other faux tile project (shown here) but I was returning to El Paso soon and I wanted to finish this project now. So I had to cut wider masking tape to a 1/2" width. This doubled the time of this job considerably. If I had the right size tape, I probably would have made 12" "tiles" and still finished in half the time. The paint was applied by brush. There was one evening of light rain in the middle of this job. The fresher paint on the far right side was damaged a little by the rain because the rain came down when it was still wet. I just painted over it the next morning. Center slab finished. Right section work stopped when some rain came. I completed the back section on the third day. 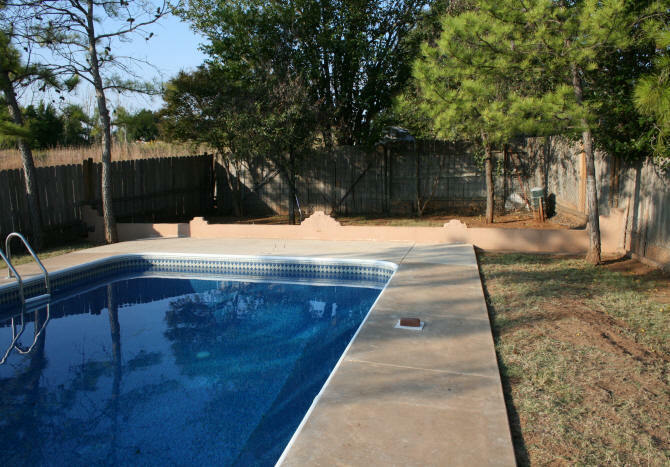 I also filled some cracks and chipping concrete on the two pool corners and then painted it. I left a three inch border along the edge. This is because there needs to be a visual aid to prevent tripping on the edge of the concrete. At dusk and at night without a light on, it is hard to see the edge of the pool deck. 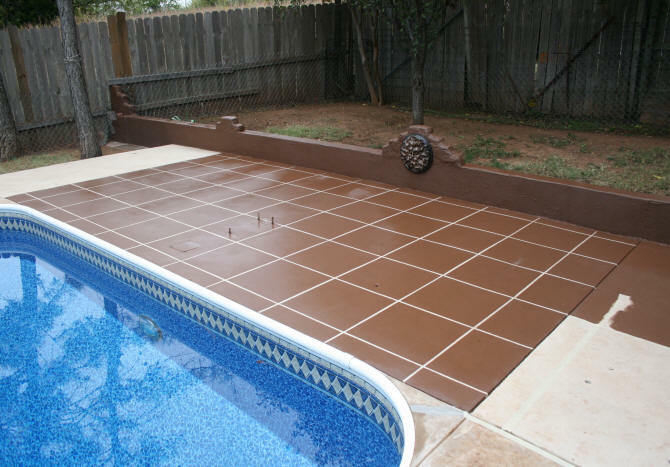 Next year when the pool is uncovered for the summer, the faux tile treatment will be continued along the sides of the pool. Both the retaining wall and this section of the concrete took about 1 1/2 gallons of paint. The surface is still non-slip.